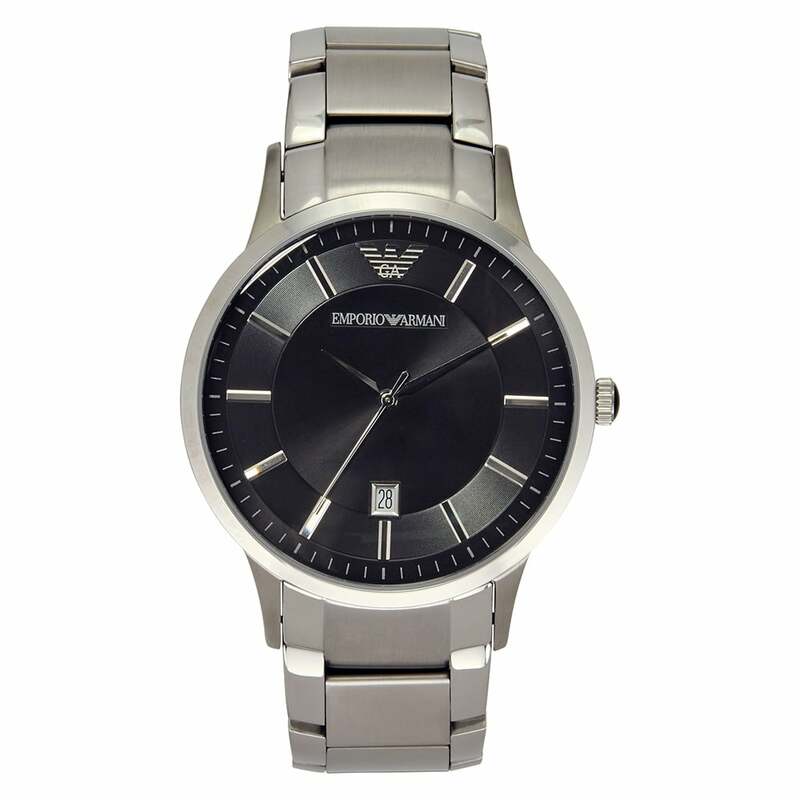 Emporio Armani Gents Silver & Black Watch AR2457. This Emporio Armani gent’s silver watch AR2457 is a minimalistic, clean cut timepiece.The AR2457 offers subtle elegance with its brushed stainless steel bracelet and case. The black dial is uncluttered with simplistic silver hour markers and hands. The AR2457 is perfect for both casual or formal occasions.Further more the watch features a date display window and is water resistant to 5ATM. The Armani AR2457 is in stock and is available for next day delivery if required. The watch comes with a 2 year Tic Watches warranty and an Armani presentation box.